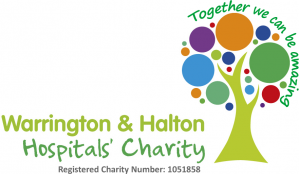 Pathology at Warrington and Halton Hospitals NHS Foundation Trust is located mainly at Warrington Hospital on the first floor, Appleton Wing. There is a satellite laboratory at Halton Hospital, which is mainly used for urgent work produced at Halton Hospital. The facilities in Appleton Wing were first opened in 1978, with refurbishments in 1997 and 2001. In 2011, the Cervical Screening section of the Cytopathology Department merged with that of Whiston Hospital's onto their site. The Mortuary is situated on the Warrington site and has undergone a major refurbishment in 2002 and 2014. There are 11 Consultant Pathologists and 1 Associate Specialists in addition to approximately 140 Biomedical Scientists, Support Workers, Phlebotomists and Mortuary staff. This team provides the analytical and interpretive service for the four main Pathology disciplines:- Histopathology and Cytopathology, Microbiology, Biochemistry and Haematology and Blood Transfusion. 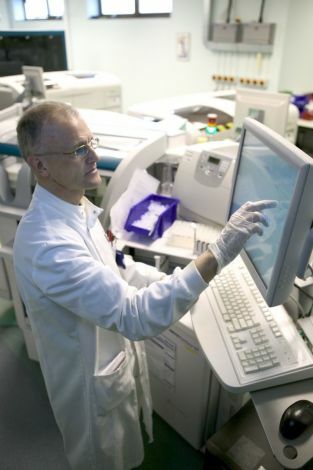 Biochemistry and Haematology operate a 24/7 service and Mircrobiology and Mortuary operate an on-call service. A Consultant Pathologist from each discipline is always available for clinical advice and may be contacted viat the hospital switchboard on 01925 635911. The pathology users handbook is designed for GPs to give information on how to access the various services that are provided by the trust.